On the second day of our trip we departed south from Ypres. Thick mist enveloped the countryside and visibility was minimal, and we wondered what it must have been like manning the trenches in similar conditions. 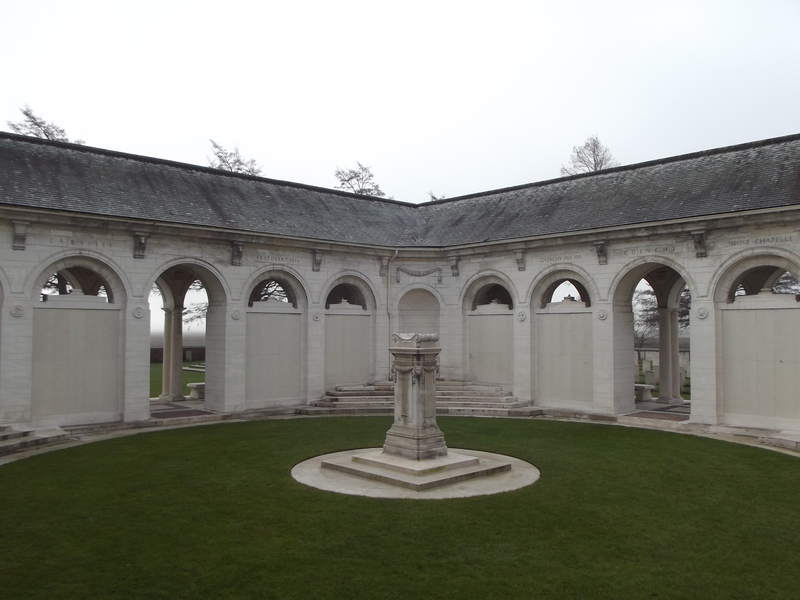 Our first stop was Ploegsteert memorial, designed by H Chalton Bradshaw and commemorating over 11,000 men. We then made a brief stop at Prowse Point cemetery, in an area closely linked to Bruce Bairnsfather, passing the Khaki Chums’ cross to the Christmas truce of 1914. We continued further south through Fromelles, where work on the new visitor centre was well underway. Aubers ridge was shrouded in mist but numerous German blockhouses gave some idea of how they defended the area in 1915. The sun was just breaking through as we reached the Indian memorial near Neuve Chappelle; a lovely memorial dedicated to these men who died far from home, and which still bears the scars of the fighting of the Second World War. A short distance down the road is the Le Touret memorial, where five men from Carshalton are commemorated, and we stopped so I could find them and take some pictures. 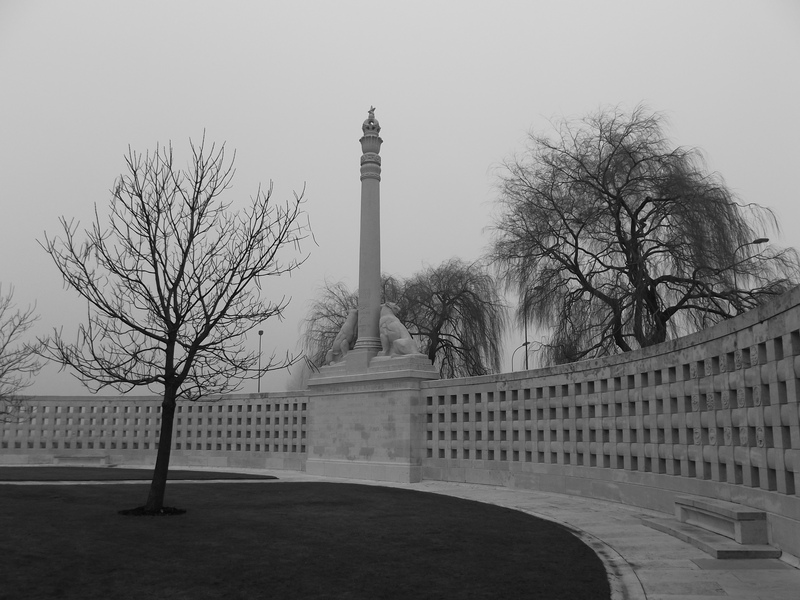 The design of the memorial is interesting and different to any of the others I have so far visited. 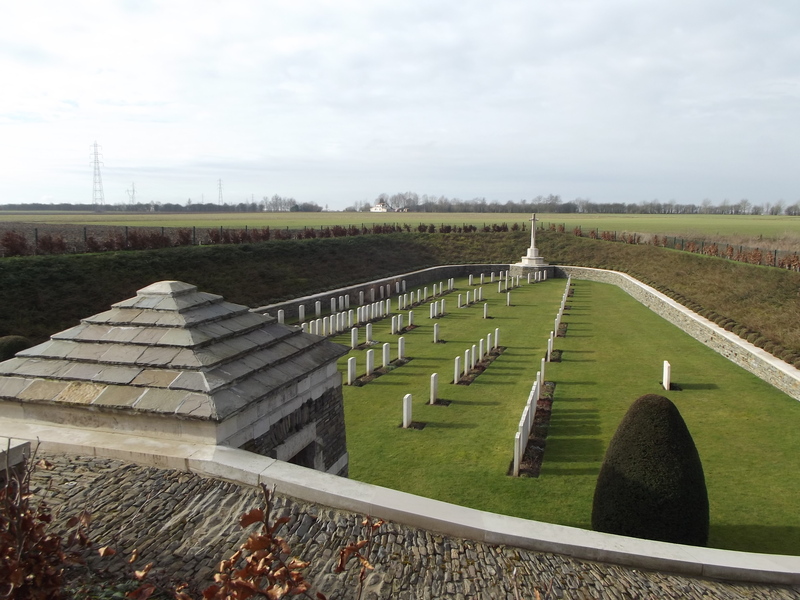 We then proceeded to the Loos memorial, which forms part of Dud Corner cemetery; ten men from Carshalton are commemorated here, mainly from the Loos campaign of September – October 1915. Five of these men, part of the 24th Division, had only arrived in France three weeks before the start of the campaign. Rushed to the front they were thrown straight in to the battle on the second day, many of them being killed in their first and only action. By this time the sun was out and visibility from the memorial was excellent. The landscape is fairly flat and featureless, still dominated by the double crassier and mining equipment, with the commanding heights of the Vimy ridge visible in the distance. We also paid a visit to St. Mary’s ADS cemetery, where Rudyard Kipling’s son John has a headstone, although there are still some doubts as to whether it is his body actually buried there. Quarry cemetery is also nearby and the peace and tranquillity of this small cemetery belies the fierce fighting that took place at the nearby Hohenzollern redoubt. 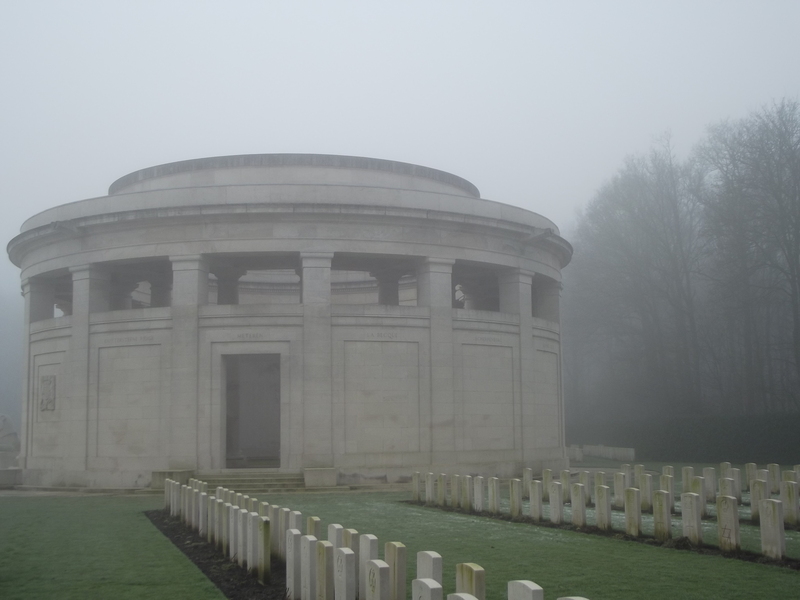 We then left the ‘forgotten battlefield’ and made our way south to the Somme, mist once again enveloping the high ground and preventing us from seeing the Canadian memorial on Vimy ridge. On arriving on the Somme our first stop was Thiepval memorial; a sight that does not diminish in effect no matter how many times you see it. 39 men from Carshalton are commemorated here, testament to the effect the Somme campaign had on one small village. Our next stop was Bapume Post military cemetery where another of Carshalton’s casualties is buried. 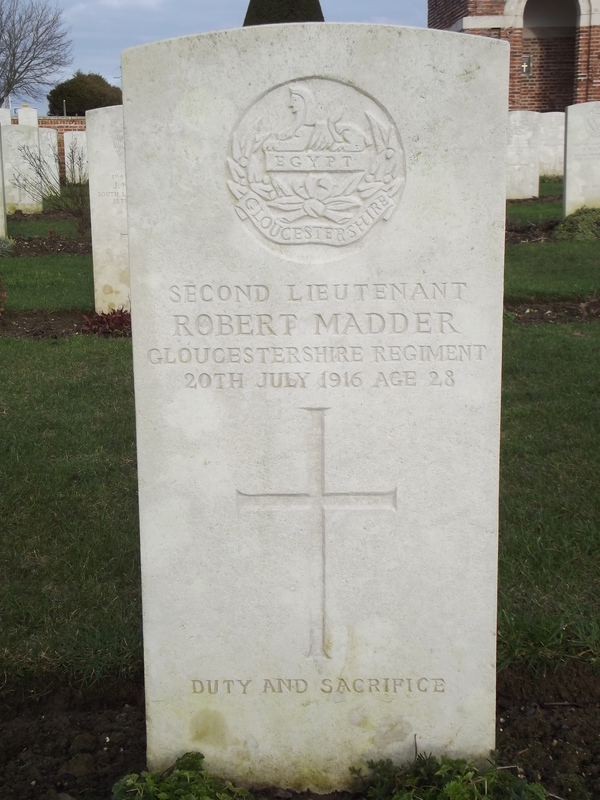 Second Lieutenant Robert Madder was leaving a dugout close to the nearby Usna redoubt on 20th July 1916 when he was killed by a shell. 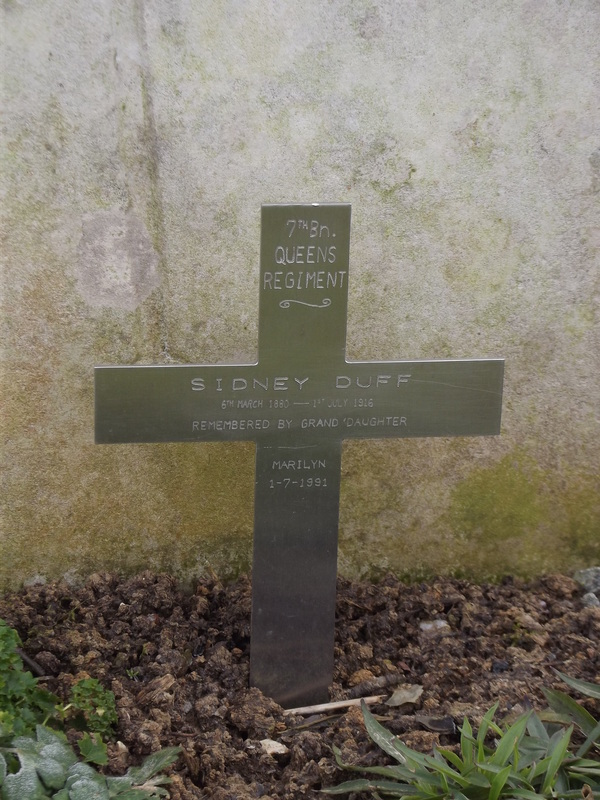 The epitaph on his headstone reads simply ‘Duty and Sacrifice’. We spent the remainder of the afternoon driving round the area of the battlefield that formed the right flank of the British line. The 18th Division spent time here from the summer of 1915 and attacked there on 1st July 1916. Our accommodation for the night was the Auchonvillers guesthouse, where our host Avril Williams provided a fantastic meal and we spent the evening engaging in interesting conversation to say the least with ex-British Army veterans over a glass or two of wine. The following morning Avril showed us the cellar of her house which was used during the war as a dressing station amongst other things and connects to the communication trench in her back garden. 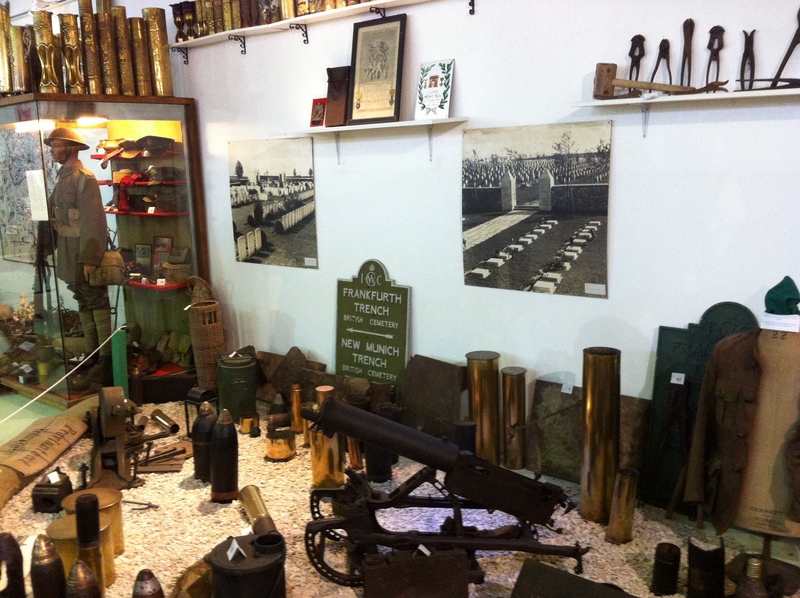 She also has a museum over the road filled with a collection of artefacts from both world wars. 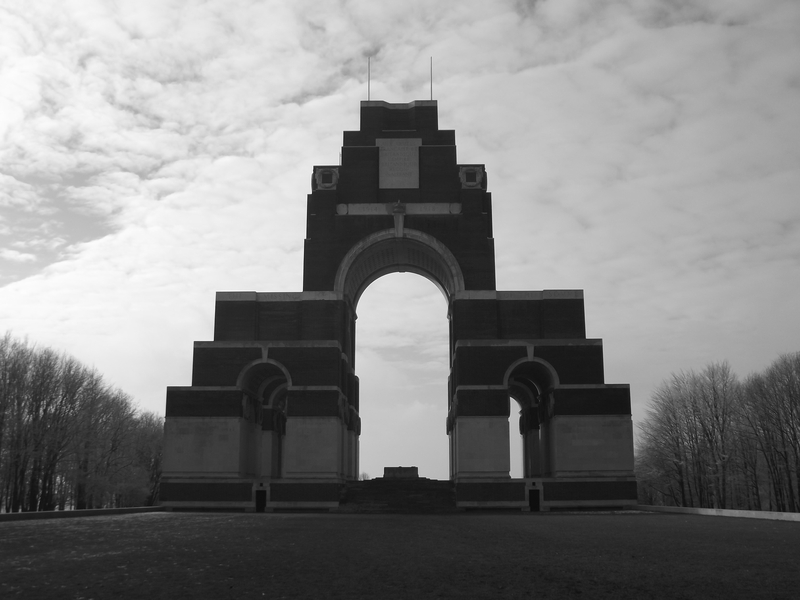 We soon departed and headed back towards Thiepval. From here the 18th Division memorial looks out towards Thiepval wood and the Ulster tower, and gives some indication of the clear field of fire the Germans would have had as the 36th Division left the wood to attack the German lines. It was a bitterly cold day and reminded us of how the soldiers in the trenches must have felt without the benefit of modern fleeces and thermal wear. The threat of heavy snowfall back in the UK meant we had to change our plans and head home earlier then planned, however we managed to visit a few more cemeteries on the southern end of the battlefield – Norfolk cemetery; Fricourt new military cemetery; Dantzig Alley; Caterpillar Valley; Longueval Road; and the AIF Burial Ground at Flers. We also walked over some of the ground that the 18th Division attacked over on 1st July between Mametz and Montauban. The open expanse of farmland with its gentle rolling slopes offers no cover and it is hard to imagine what the conditions must have been like on that day. 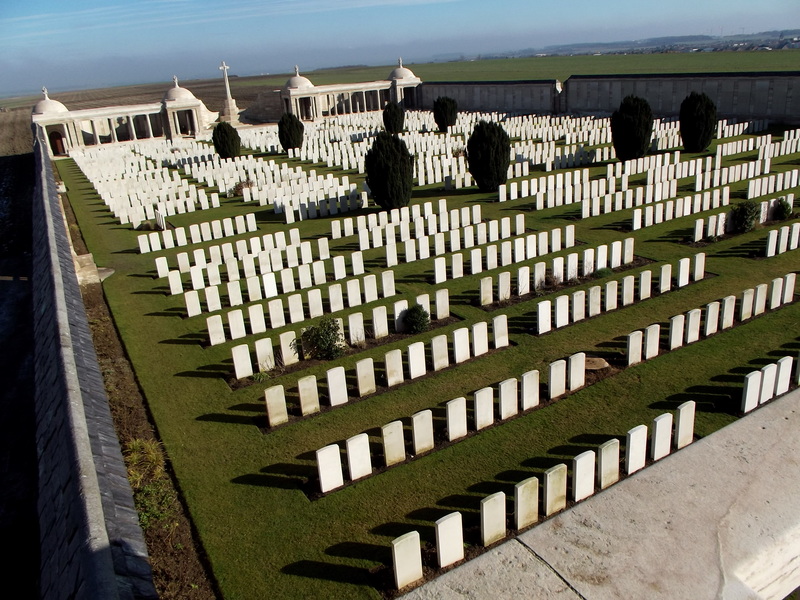 We headed back to Calais, passing many CWGC cemeteries along the way. It had been a brief but packed trip and one that has given me plenty of food for thought until I can visit again. This entry was posted in Uncategorized and tagged battlefield trip, Loos, Somme, thiepval. Bookmark the permalink. Another great resume Andy. Next time you visit Bapaume Post, pause at the grave of Henry Hutton Scott, son of 1st Canadian Division chaplain Canon Frederick Scott, who officiated at his own sons burial, having personally gone out Regina Trench way to retrieve it from the temporary burial location.